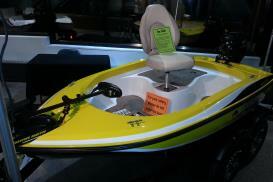 Bass Bandit Boats are built by Minnesota guys that LOVE to fish! Our one man fishing boats have been manufactured and tested by the designer and four lifelong fishermen. We have modified designs until these boats gave us, and will give you, the quality and overall stability that WE required on the water. Our boats were, and are intended for smaller lakes and streams. But, during a normal day of fishing when the weather turns rough, they have also proven themselves and done extremely well on rough water. Keep in mind, when any boat is moving you should always be buckled up in a Coast Guard approved life vest. Comfort - While sitting or standing, you’re able to spend that long day on the water without being uncomfortable. 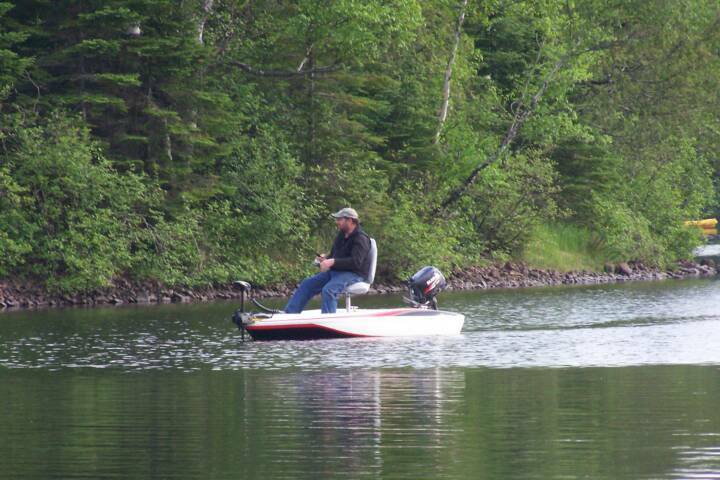 Functionality - These boats are great to fish out of, you get that big boat ability to see down into the water, yet the simplicity of handling a small boat around your favorite weed bed or brush pile. Light weight - They’re very easy to launch and load, plus small enough to be pulled behind a small vehicle or (ATV) 4-wheeler. Storage - Many homes with small garages do not have the room to store the bigger boats, well that problem is solved with our overall 14 foot boat motor and trailer combination. 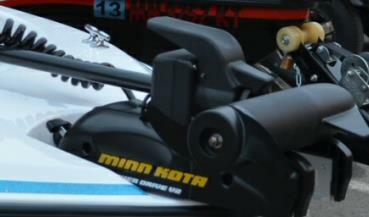 Mileage - The Suzuki 2.5 - 6 horse 4-stroke outboards are easy on gas, this makes it almost painless at the pump. Also, unlike many outboard motors, these are incredibly quiet. Durable - Our double hull was designed for strength, enclosed by the cute visible exterior is a very durable and rugged interior. Safety - Our boats contain marine quality foam; this ensures you that in the unlikely event the boat should fill with water, it will stay afloat. Recessed trolling motors are in alignment with the keel. This straight forward pull design reduces boat drag, which in turn lessens battery consumption, cost and has made for a much cleaner appearance. It doesn't get much better ~ peaceful, quiet and all alone.